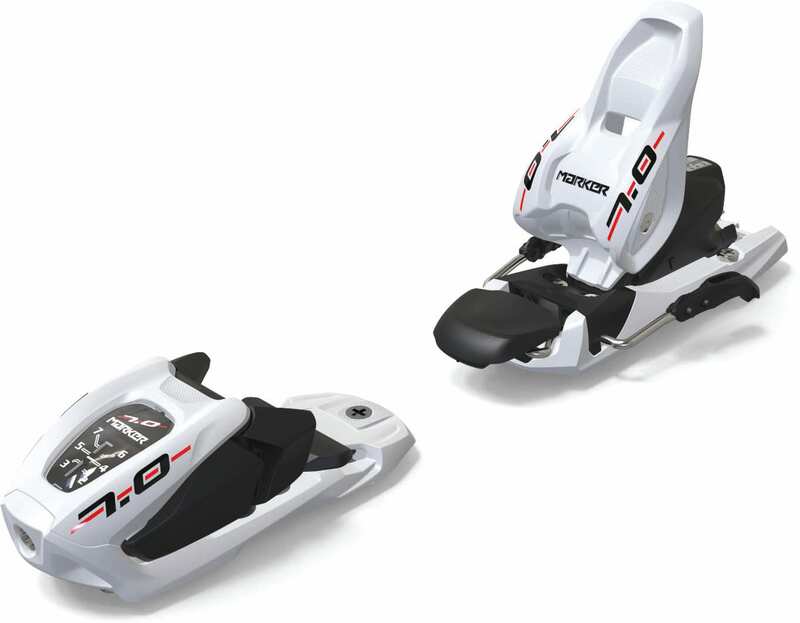 Marker''s new 7.0 Junior bindings offer high-level features like the 4-linkage Jr toe and Compact Jr 2 heel to the very youngest of skiers, allowing them to easily step in and out of the binding on their own. Apart from that the binding provides great riding safety and always enough pressure on the edge. 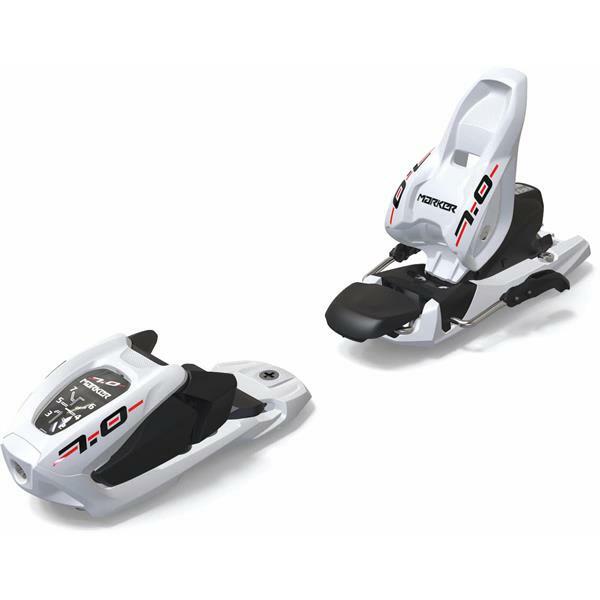 can This binding be used with 72mm waist ski? Unofficially it could, as Kari points out, but you would need to bend the brakes a little. Officially you would want a binding with a 75mm - 80mm brake width. Yes. I believe you can. I use them on a K2 AMP Sabre with a 72 mm waist. Can these adjust as their boot goes up a size?